NGC 7380 is often referred to as the "Wizard Nebula." NGC 7380 is actually the open cluster contained in the nebulosity known as Sh2-142. 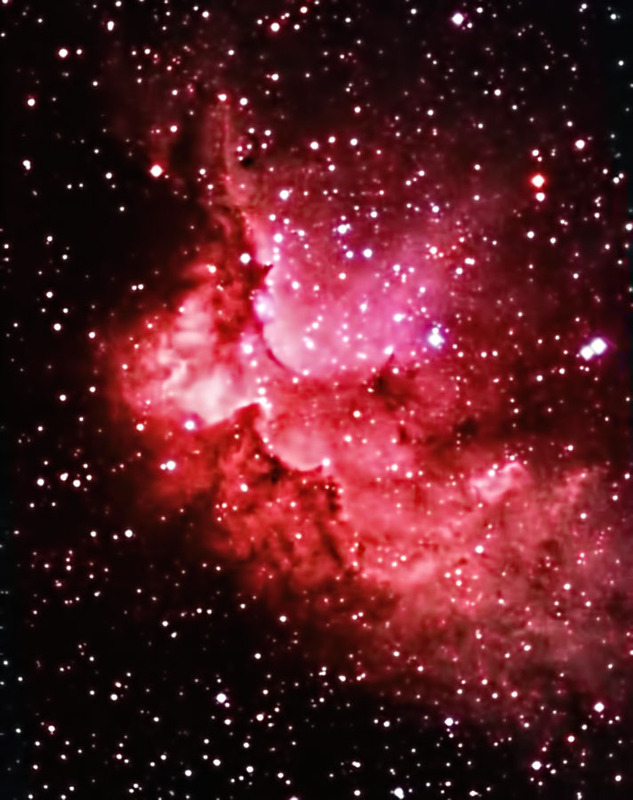 It is a star-forming region of the sky, lying approximately 7100 light years away and spanning 140x75 light years. Ha: 14 @ 5 min. Color: 42 @ 5 min. Processing: The Ha images were reduced, aligned, and combined in CCDSoft. All images were taken from my backyard observatory in late September, 2012. I wanted to get more Ha images but the weather did not permit it at the time.